Honesty turned out not to be the best path on this episode of Charmed. Yet, the writers used the still shaky connection between the sisters to build up conflict but took the conflict to give the sisterly bond a proper development. The Gina Rodriguez directed outing hit many high notes while facing one pitch-perfect Monster of the Week, in the form of Jamie Camil. Let`s devour the big cliffhanger dropped on us in the final seconds of the episode. Marisol and the father of Maggie and Macy brought Macy back from the death and afterward parted ways while apparently still being in love with each other. The writers were slowly setting up this revelation and it seems to be paying off, cause I am fairly intrigued how all of it went down. We definitely need a flashback episode to that time and it has to happen ASAP. Lucy`s return was one phenomanal decision by the writers. She definitely needs to stick around and give Maggie space to develop further out of the sisterly circle. Nathalie Hale was hilarious and Lucy and nailed every single scene. 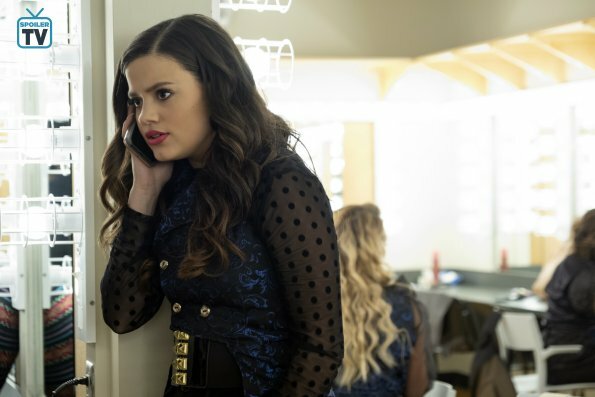 Meanwhile, Sarah Jeffery`s Maggie continued to be the stand out between the sisters. The material she got this week was perfectly arranged with her story and vocal abbilities. Her audition with "Walking on Sunshine" was heartbreaking. The amount of emotion her version carried combined with Sarah`s screen presence and her previous heartbreakstoryline in mind really captured a beautiful moment. 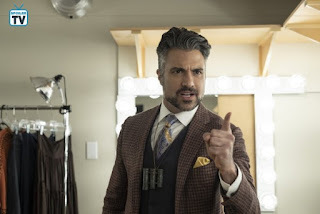 Special guest star Jaime Camil was a delight. He perfectly balanced the Demon and the innocent proofessor. The way he interacted with Effie and the other choir members was hilarious and terrifying at the same time. I liked the little spin on the Siren story and the revelation of the big Maestro. Sadly this seems to be a one time gig. After seeing how well he fitted the verse I wish they would`ve found a way to keep him around for more episodes. And while Mel was out of the fatherly triangle, the new lies and secrets hit Mel hard. The parallels between Marisol`s secret life and the relationship Mel was trying to build with Jada fitted well into the episode. It put Mel a bit closer to her mother in a way though. She understood Marisol`s lying more when her initial response after Niko entered the scene was to lie. It was the easy way to go but she realized the damage lies can make and went the honest route. Another shocker was delivered at the closing moments of this hour. Harry decided to leave the girls as everything he went through made him feel like a lesser Whitelighter for them. He yet has to announce this news to the girls and while I see where in his mind it makes sense I am sure this won`t be permanent. It should be interesting to see the girls reaction to this news and a potential new stuck up Whitelighter. The Charmed writers continously deliver shocker after shocker and keep the pace and story progression on a really good level. 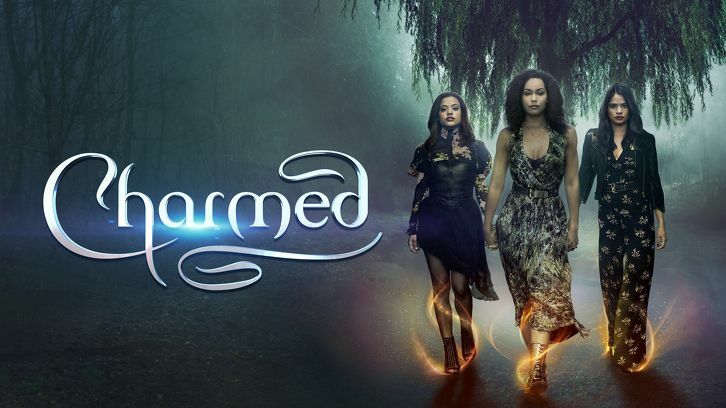 What are your thoughts on Charmed`s 11th outing? Did they pitch the stories perfectly? Or you have to close your eyes cause they were deeply off key? Vote in the Poll and share your thoughts in the comment section down below.